Second chances are hard to come by these days; we’re often quick to dismiss a friend over something petty or write someone off after a bad first impression. 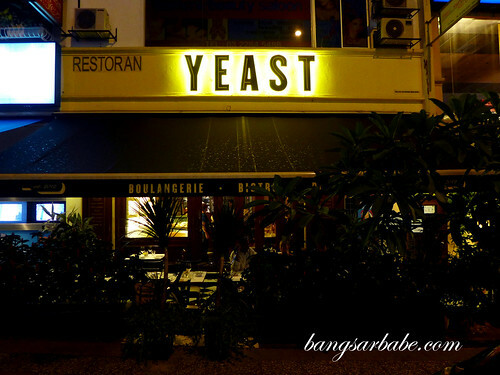 I had an encounter with a snooty manager at Yeast last year, that I refused to try the food despite recommendations from friends. But I finally did so recently and am happy to report it was a good experience. 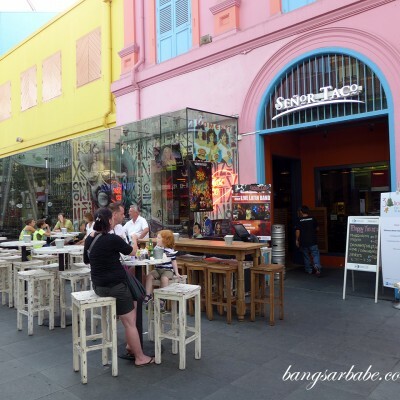 rif wanted to go there for our dinner date and he even called the restaurant to make a reservation. 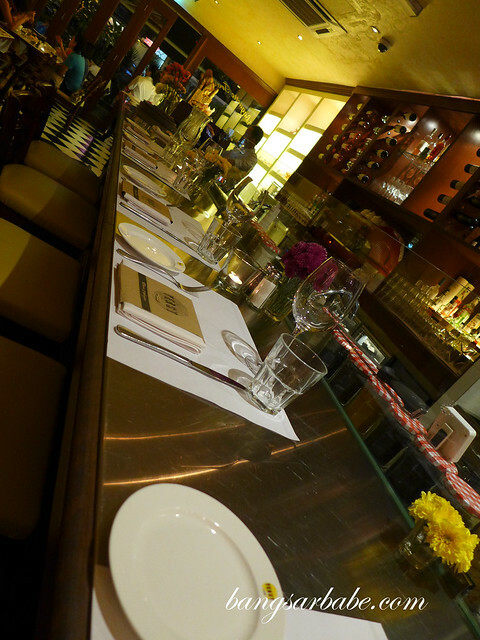 Yes, it is advisable to reserve a table because they don’t really entertain walk-ins. So I was told by that snooty manager. Not sure if he’s still around though. 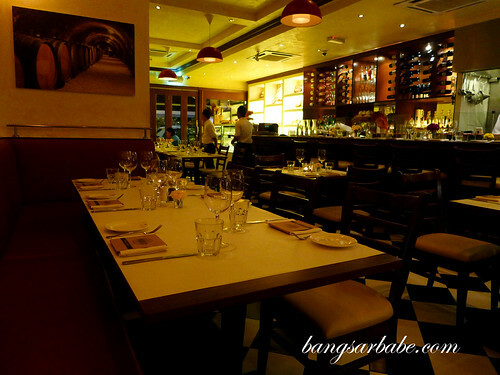 Yeast offers French cuisine in an unfussy bistro ambiance – black and white tiled floor, gently lit dining room and paper-covered tables. Very laidback feel and hardly intimidating. 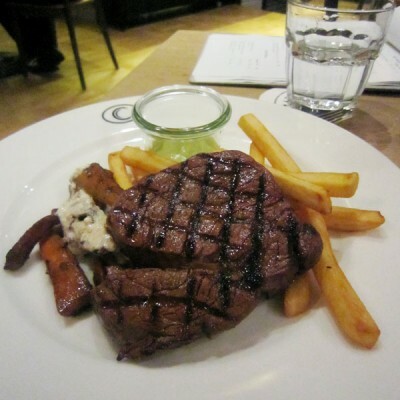 The menu is confident and straightforward, dotted with classic French bistro fare featuring premium local ingredients. Except foie gras, which I don’t expect to be locally sourced. Especially not for the RM45 price tag. 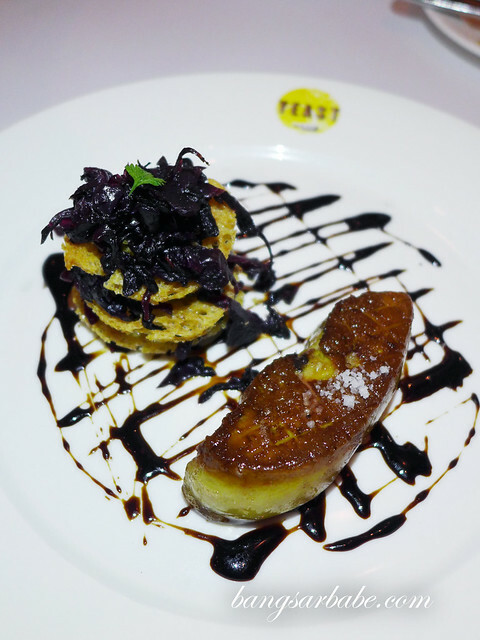 It was quite a sight – seared goose liver served with cabbage braised in red wine, and balsamic reduction. 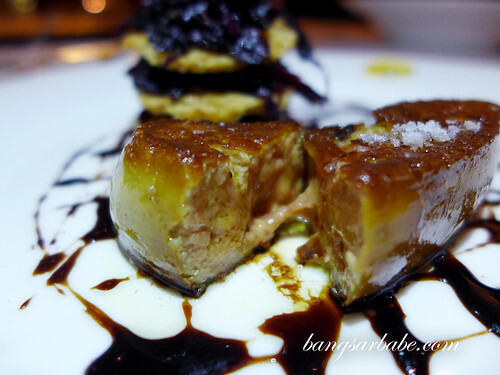 The foie gras was lightly pink at the centre just the way I like it and the balsamic reduction gave it a honey-like flavour with a little bit of zing. rif tried the semi soft boiled egg from the seasonal menu, topped with French caviar and smoked salmon and dill emulsion. This was also delicious and really addictive. 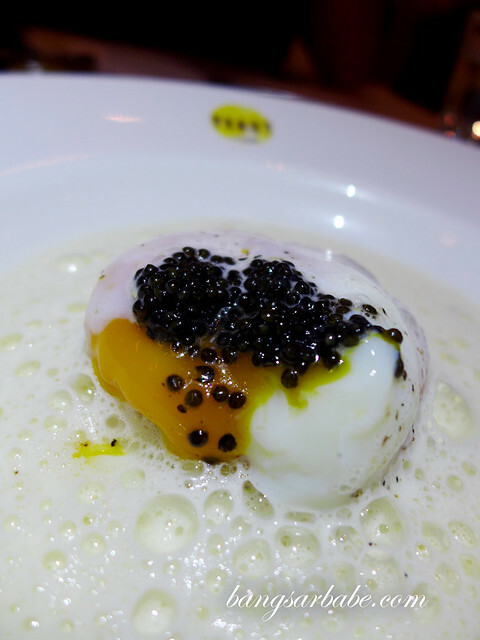 There’s just something about soft boiled egg with truffle or caviar that gets me excited. 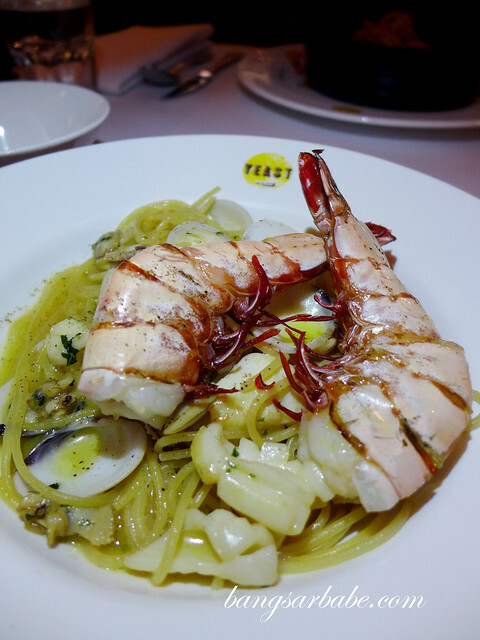 I expected to be served French portions, but my seafood spaghetti (RM40) was of a decent portion. 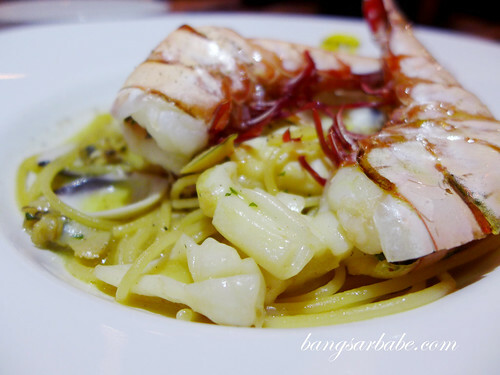 This dish came with king prawn (halved), squid rings and clams, while the pasta was al dente and laced with garlic, shallots and white wine sauce. 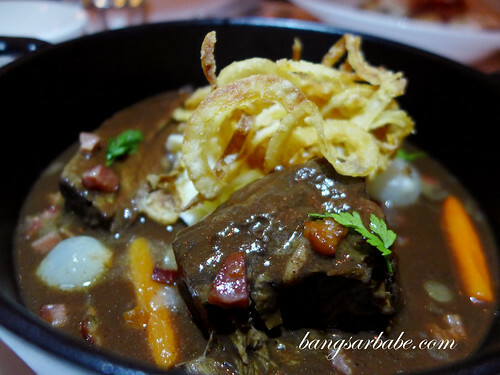 Even better was rif’s braised short ribs (RM58), cooked in red wine and served with celeriac puree. 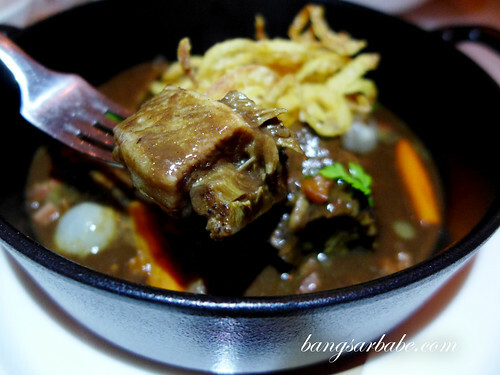 The ribs were deliciously tender, and the gravy was made more flavourful with pearl onions, glazed carrots and smoked duck. It was a worthy homage. 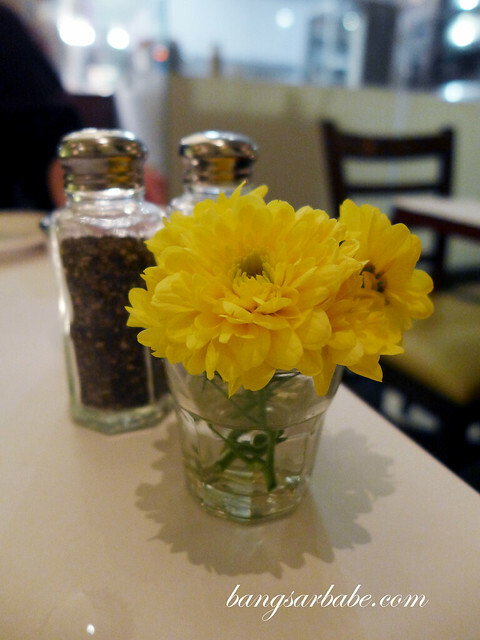 And service that night was attentive and friendly; there was no reason to complain. 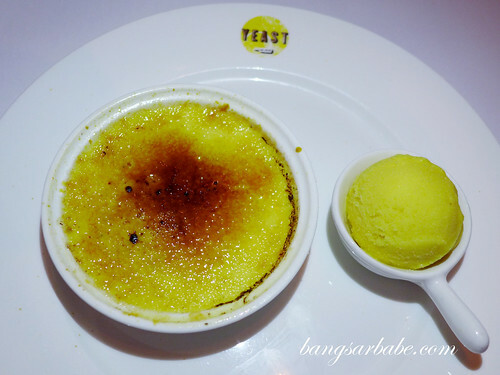 After such a high, desserts took me back to earth. 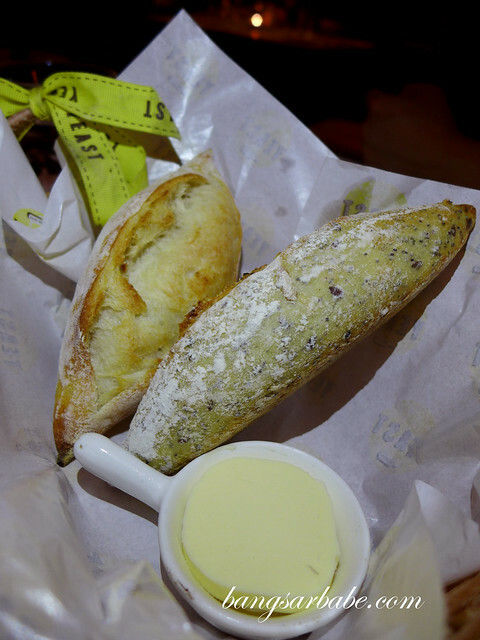 They weren’t at all bad; just not stellar like the starters and mains. 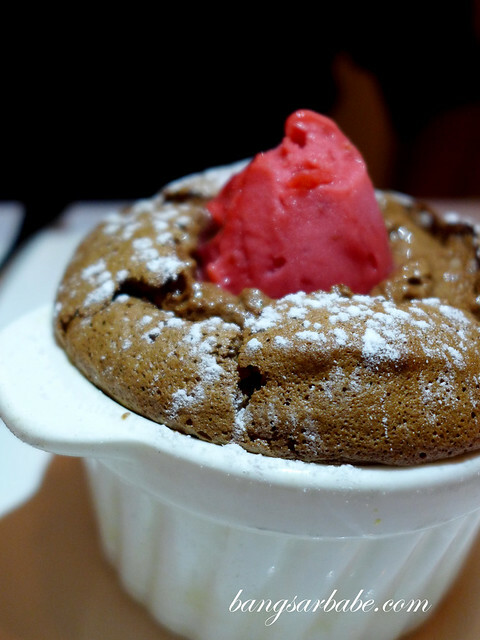 The Valrhona chocolate soufflé (RM22) was rich and light, planted with a scoop of raspberry sorbet at the centre. 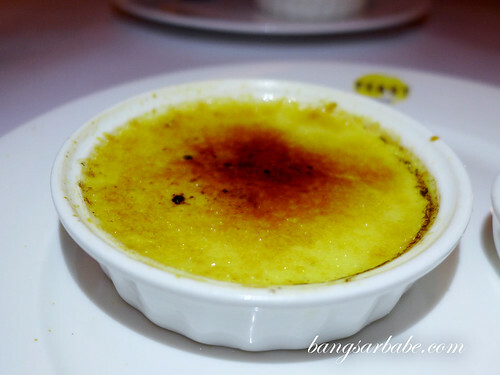 Vanilla crème brulee (RM15) featured silken yellow custard with crunchy sugar glaze topping. Simple and sensuous, but it didn’t particularly excite me. 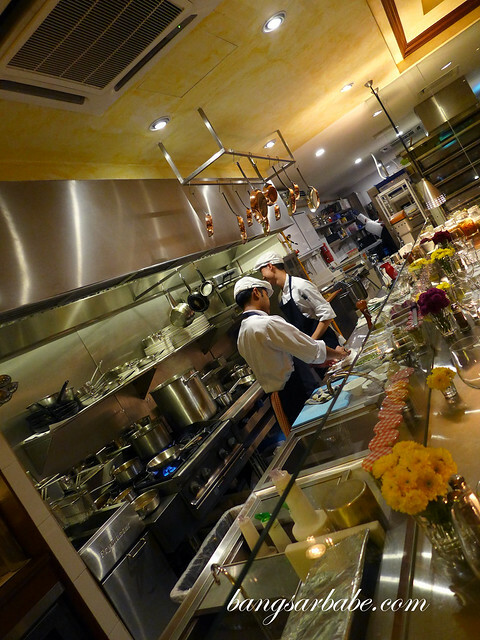 Verdict: Tasty French bistro fare.